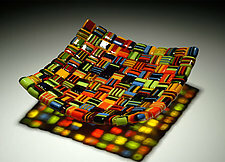 "As I continue to develop an appreciation for American Craft, I find myself drawn to glass for several reasons. 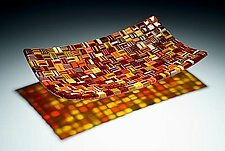 Whether it be hot (blown), warm (fused), or cold-worked glass, I am fascinated with what seems to be an infinite diversity of color, texture, and form. 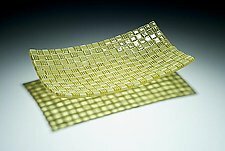 The fact that fused glass predates glass blowing and, up until the last hundred years or so was a lost art, gives fusing a special mystique." 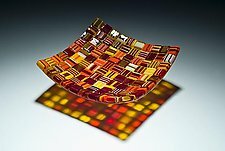 Robert Wiener has spent the past several years exploring warm glass, primarily through instruction and guidance from several exceptional glass artists. While some instructors emphasize structure and technique, others accentuate individual style and personal expression. 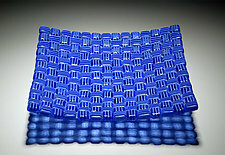 As Robert grows as an artist, he is striving to succeed on both counts. 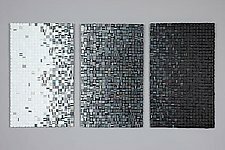 His "Colorbar Murrine" series affords him the opportunity to experiment with color and fusing temperatures, and to express a personal style that reflects simplicity with a close attention to detail.